The Saudi Arabian foreign ministry has recalled its ambassador from Canada and given the Canadian ambassador 24 hours to leave the country. Riyadh is also freezing all new trade and investment deals with Canada. The decision has been reported by Saudi Arabia's official Saudi Press Agency. It is understood to come in response to Canada's statement of concern over the arrests of human rights activists in Saudi Arabia. In a statement issued by the Saudi Arabian Foreign Ministry, Riyadh slams as “totally false” allegations by the Canadian authorities that recent arrests of several civil society activists were unwarranted. It says the arrests were made by “the competent authorities” and the detainees were provided with all the rights guaranteed during investigative and trail stages. On Friday, Canada called on Riyadh to “immediately release” civil and human rights activists recently arrested by the Saudi Arabian authorities, including Samar Badawi, an internationally recognized human rights defender. 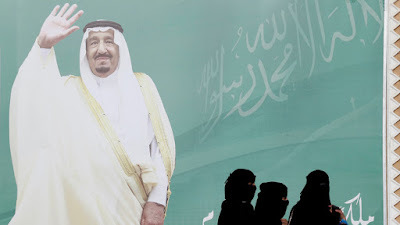 Badawi and another high-profile Saudi women's rights activist, Nassima al-Sadah, were arrested in the kingdom last week, sparking an international outcry. In 2012, Badawi received an international Women of Courage award in a ceremony in Washington from former US Secretary of State Hillary Clinton and then First Lady Michelle Obama. Since May 15, at least 15 critics of the Saudi government have been detained, the office noted on Tuesday.